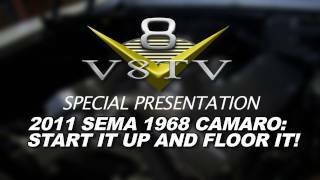 1968 Camaro Countdown to SEMA 2011 V8TV Video: Comp Thumpr Cam Sounds Wild! We perform all kinds of custom metalwork at the V8 Speed & Resto Shop. 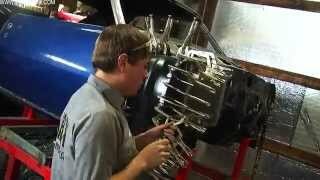 Here, John Moss whips up a sculpted firewall section using the Mittler Brothers bead roller and the Pullmax P21 with custom dies for a 1979 Pontiac Trans Am. 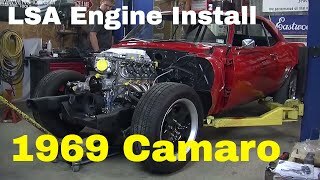 Contact the shop today for help on your custom or restoration project! In this video, Kelle learns the basics of MIG welding with Jeff Noland of HTP America, Inc. Topics cover the how to set your welder, plus the basic types of MIG welds. 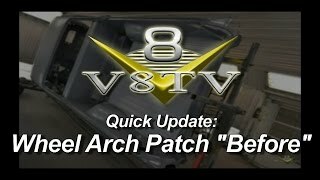 http://www.v8speedshop.com - Here's a quick update video from the V8 Speed & Resto Shop, where body tech Craig takes us through the beginning of a patch for a 1970 El Camino restoration in progress. 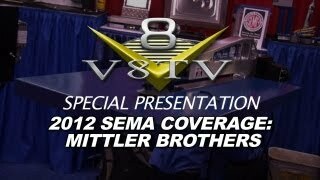 You can see photos of this car at http://www.v8tvshow.com/photos . 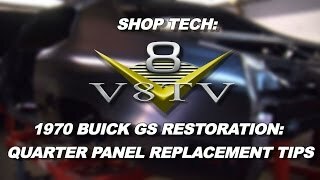 Replacing quarter panels can be a daunting but necessary task when restoring a Muscle Car. 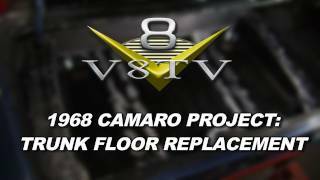 In this video, V8 Speed & Resto Shop Technician Adam Schulte shows us some tips on replacing the trunk floor, wheel house, and quarter panels on a 1970 Buick GS 455 Stage 1. 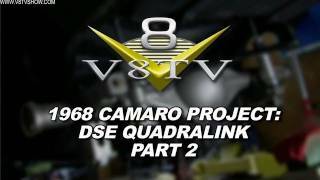 Featuring an HTP VersaSpot 7000 welder. When you can't buy it... Build it! 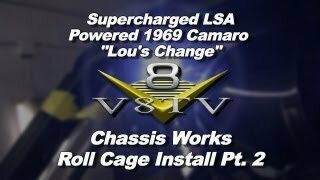 Our crew fabricated this transmission tunnel for the 1964 Chevy C10 pickup truck being built in the V8 Speed & Resto Shop because the original just wasn't big enough to go around the new overdrive transmission, and the original floor was full of holes. We're making new parts like this all the time, it's a shame it will be under carpeting when the truck is finished! 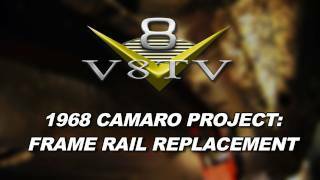 http://www.v8tvshow.com - Classic and Muscle Cars were assembled using resistance spot welders when originally manufactured, and you can recreate those welds with the proper equipment. 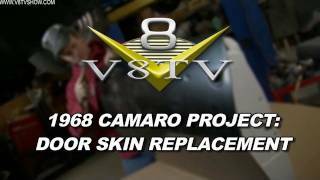 In this video, we show you how to use the HTP Quick Spot II and Versa Spot 7000 resistance spot welders to reconstruct body panels. 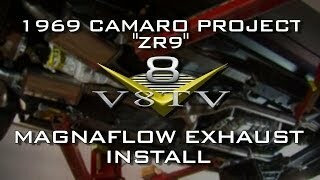 You can see more of these welders at http://www.usaweld.com . 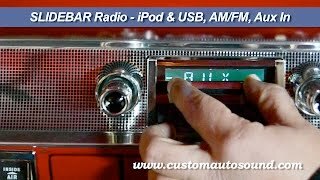 The 1970 Buick GS 455 Stage 1 body shell survived its trip to the media blaster! 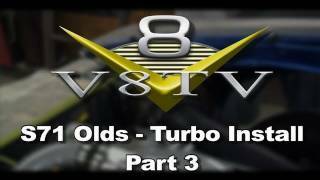 We were expecting heavy rust in the trunk floor and quarter panels, and we got what we expected. The floors are amazingly solid considering the back half of the car was so corroded. We have a giant stack of all new sheetmetal to rebuild this car, follow along to see the progress! 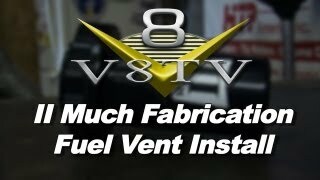 Here's a quick tip on welding exhaust tubing with your MIG welder... do it HOT and FAST! 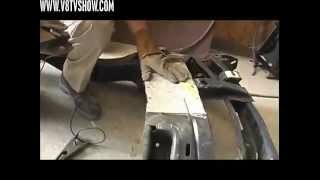 This technique shows how to burn deep-penetrating, low-profile welds that look great on their own or can be easily dressed for polishing or coating. The secret is to use high amperage (or heat) and a series of quick tack welds, and give the work time to cool between each tack! 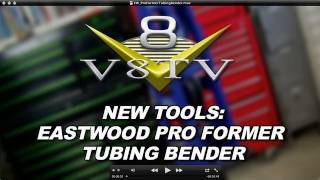 Resist the urge to seam-weld the whole tube... you'll have to run your welder too "cold" to prevent burn through, resulting in welds that are stacked high on the tubing, not only looking poorly, but also not penetrating as deep as you'd like. http://www.usaweld.com - Setting the proper wire speed and heat settings is easy if you know how to do it. 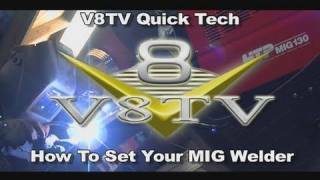 This video will show you the fastest and easiest way to dial-in your MIG welder properly. Racers have been punching holes in panels to reduce weight for years, and when you punch a flared hole, you actually add strength while reducing weight. 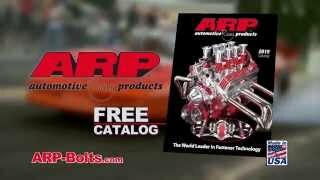 In this short video, we show you how to punch flat and flared holes using a flared hole punch set from Mittler Brothers (http://www.mittlerbros.com) to create these holes quickly and easily. In this installment, we tackle the common problem of rusty muscle car fenders. Using a repair panel form Classic Industries, some 3M grinding wheels, and an HTP MIG 200 and Quickspot II spot welder, we cut out the crust and weld in new steel for an undetectable repair. 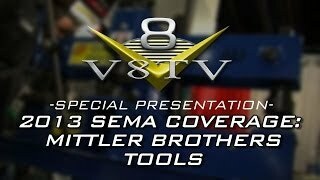 http://www.v8tvshow.com - They call them Body Hammers for a reason... you're not supposed to use your regular claw hammer to straighten out body panels, and here are the reasons why. Body tech Nathan Newberry takes us through a variety of different body hammers and dolleys, including a new kit from Eastwood, and shows us how they are used. 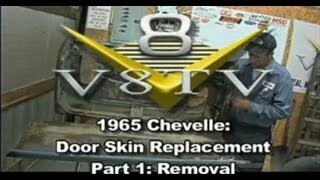 Look for some good tips to fix dents, as demonstrated on our 1968 Camaro hood.